Prometrium (Progesterone) is a female hormone used to protect the lining of the uterus in women on estrogen replacement therapy. 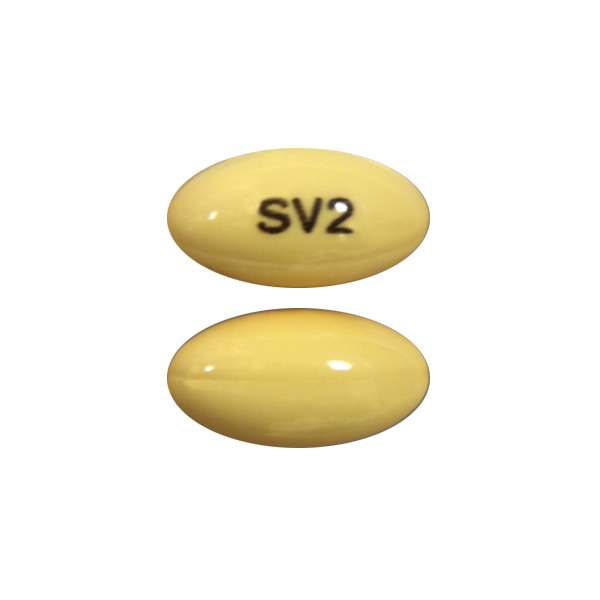 This medicine is a female hormone used to protect the lining of the uterus in women on estrogen replacement therapy. Progesterone may lower the risk of estrogen-related cancer of the uterus. This medicine is also used to treat women who have had menstrual periods in the past but have stopped having them because of a lack of progesterone hormone. This medicine may also be used to treat other conditions as determined by your doctor. Follow the directions for using this medicine provided by your doctor. This medicine comes with a patient information leaflet. Read it carefully. Ask your doctor, nurse, or pharmacist any questions you may have about this medicine. Prometrium is a form of natural progesterone. It is only available by prescription. Prometrium is the only type of progesterone that can be taken by mouth. If you miss a dose of this medicine and are taking both a morning and evening dose, skip the missed dose and go back to your regular dosing schedule. Do not take 2 doses at once. Do not take this medicine if you have had an allergic reaction to it or are allergic to any ingredient in this product. This medicine contains peanut oil. Do not take this medicine if you are allergic to peanuts. Laboratory and/or medical tests, including blood pressure, breast and pelvic examinations, PAP tests (for endometrial cancer), mammogram, and other tests may be performed to monitor your progress or to check for side effects. Follow your doctor's instructions to perform monthly breast self-examinations and report any lumps immediately. Keep all doctor and laboratory appointments while you are taking this medicine. If you take this medicine for an extended period of time, you should be evaluated regularly by your doctor to determine if you need to continue taking this medicine. This medicine may affect certain lab test results. Make sure all of your doctors and laboratory personnel know that you are taking this medicine. Before you have any medical or dental treatments, emergency care, or surgery, tell the doctor or dentist that you are using this medicine. If you will be having surgery, or be confined to a bed or chair for a long period of time (such as a long plane flight), notify your doctor beforehand. Special precautions may be needed in these circumstances while you are taking this medicine. This medicine may cause drowsiness or dizziness. do not drive, operate machinery, or do anything else that could be dangerous until you know how you react to this medicine. Using this medicine alone, with other medicines, or with alcohol may lessen your ability to drive or to perform other potentially dangerous tasks. Before you begin taking any new medicine, either prescription or over-the-counter, check with your doctor or pharmacist. Caution is advised when using this medicine in the elderly because they may be more sensitive to the effects of this medicine, especially the risk of dementia. For women: do not use this medicine if you are pregnant. If you suspect that you could be pregnant, contact your doctor immediately. This medicine is excreted in breast milk. If you are or will be breast-feeding while you are using this medicine, check with your doctor or pharmacist to discuss the risks to your baby. This medicine should not be used in combination with estrogen to prevent heart disease. This medicine taken in combination with estrogen can increase the risk of heart disease (including heart attacks), stroke, serious blood clots in the lung (pulmonary embolism) or leg (deep venous thrombosis), cancer of the breast, or dementia. This combination may also increase the risk of cancer of the ovary. These risks appear to depend on the length of time this combination of medicines is used and the amount of estrogen per dose. Therefore, the combination of estrogen and this medicine should be used for the shortest possible length of time at the lowest effective dose, so you obtain the benefits and minimize the chance of serious side effects from long-term treatment. Consult your doctor/pharmacist for details. Some medicines or medical conditions may interact with this medicine. Inform your doctor or pharmacist of all prescription and over-the-counter medicine that you are taking. Additional monitoring of your dose or condition may be needed if you are taking rifampin. Do not start or stop any medicine without doctor or pharmacist approval. Inform your doctor of any other medical conditions including heart problems, circulation problems, high blood pressure, family history of blood clots, womb problems (such as endometriosis), asthma, migraine headaches, any current or previous cancers, bleeding problems, liver problems, kidney problems, history of depression, diabetes, seizure disorders, history of tobacco use, cholesterol or lipid problems, lupus, thyroid problems, high calcium levels in your blood, if you have had a recent miscarriage, any allergies, pregnancy, or breast-feeding. Use of this medicine is not recommended if you have a history of blood clots or clotting problems; cancer of the breast, ovary, or uterus; undiagnosed vaginal bleeding; severe liver problems; recent (within the past year) heart attack; or history of stroke. Use of this medicine in children is not recommended. Discuss with your doctor the risks and benefits of giving this medicine to your child. Contact your doctor or pharmacist if you have any questions or concerns about taking this medicine. Side effects that may occur while taking this medicine include sleepiness or tiredness, dizziness, cough, nausea, vomiting, cramps, bloating, worry, irritability, diarrhea, constipation, headache, breast tenderness, stomach upset, acne, or dry mouth. If they continue or are bothersome, check with your doctor. Check with your doctor as soon as possible if you experience pain or cramping in the muscles or joints; unexplained weight changes; swelling of hands or feet; fainting; vaginal discharge; difficulty urinating or change in the amount of urine produced; or breast pain. Contact your doctor immediately if you experience fever or chills; calf/leg pain, swelling, or tenderness; unusually fast heartbeat; sharp or crushing chest pain; sudden shortness of breath; sudden leg pain; sudden severe headache, vomiting, dizziness, or fainting; vision problems or changes (including sudden, partial, or full loss of vision); numbness of an arm or a leg; severe stomach pain; one-sided weakness; slurred speech; mental or mood changes (such as severe depression, memory loss, or confusion); coughing up blood; yellowing of eyes/skin; darkening of urine; stomach pain, swelling, or tenderness; abnormal vaginal bleeding; lump in the breast; or seizure. An allergic reaction to this medicine is unlikely, but seek immediate medical attention if it occurs. Symptoms of an allergic reaction include rash, itching, swelling, severe dizziness, or trouble breathing. If you notice other effects not listed above, contact your doctor, nurse, or pharmacist.